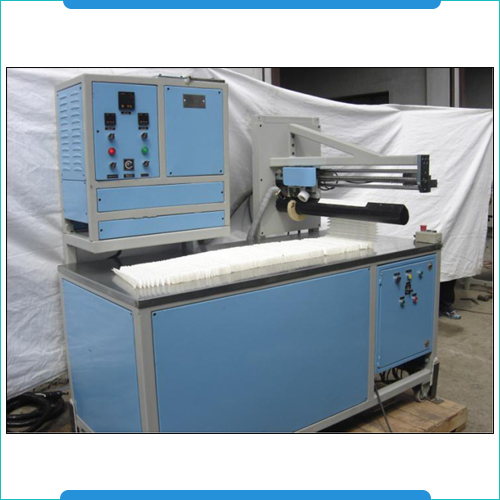 The Hot Melt Filter Pack Side Sealing Machines facility come with digital tank temperature indicator & controller, positive displacement gear pump, electrically heated hose with temperature sensing & controlling unit and dispensing nozzle. These Hot Melt Filter Pack Side Sealing Machines option allow maximum height of paper dispensing of 600mm, facility for adjusting travel as per paper pack heights and AC geared motor drive unit for smooth movement of platform. The other standard specifications these machines possess, include top pressing unit for pressing pleats after sealing, digital tank temperature indicator & controller, electrically heated hose with temperature sensing & controlling unit, manually operated dispensing nozzle, operational power of 440 V, 3Ph. 50 Hz, 4.5kwatts, three phase geared motor for pump operations and maximum tank temperature of 150- 200°C, thus ensuring optimum performance standards. End Caps Adhesive Dispenser assist filter manufacturers in improving productivity in bonding, sealing as well as gasketing filter media. 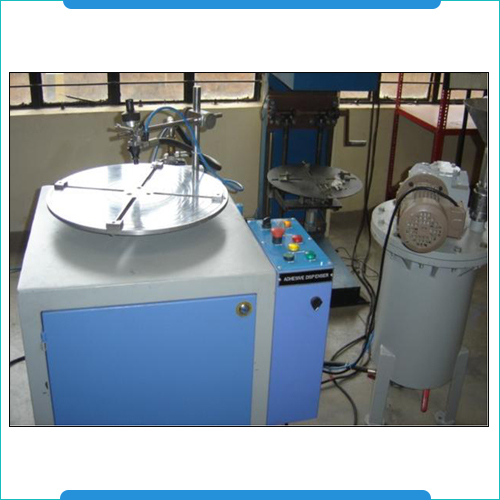 These adhesive dispensers for end caps come with stainless steel fabricated tanks with maximum tank capacity of 60 ltrs and tank mountings comprising air inlet with slide valve, safety valve, FRL unit, pressure gauge, air release valve and adhesive inlet. Some other options these dispensers come with include bottom drain valve and adhesive outlet, rotating table for suiting different cap diameters, DC drive for table rotating as well as provision of adjusting the nozzle for various diameters. Tank mountings safety valve, air inlet with slide valve, FRL unit, air release valve, Pressure gauge & adhesive inlet.